THE FACELESS with Abigail Williams, Decrepit Birth, Veil of Maya. 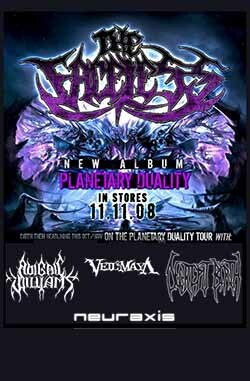 THE FACELESS on their first major headlining tour, coinciding with their album, PLANETARY DUALITY, which was released on 11-11-2008. Also on the tour were Abigail Williams, Decrepit Birth, Veil of Maya and Neuraxis.